At Algo, we realize that information and technology solutions (like VOIP and IP Phone systems) are just another set of tools to help you with your business. We know that you need a partner that will help you pick the right technology solutions to meet your needs. For forty years we have specialized in helping businesses just like yours build a virtual culture for mobile employees, partners and customers. Enable availability and responsiveness for users no matter where they are located or the device they are using. Give your users business speed with a communications infrastructure that allows for mobile and virtual engagement. Connect users to your network anywhere they are and provide easier and faster deployment of capabilities and services. Watch your business grow as your employees, partners and customers connect seamlessly across networks, locations and time zones. Give your users the power to remain functional and responsive and your customer experiences become more seamless and optimized. Secure, reliable and cost-effective mobility solutions. Partners, employees, sales teams, customers and guests can collaborate and connect across networks efficiently and seamlessly. Mobile enablement is breaking down barriers. 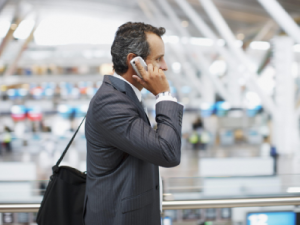 No matter where users are – airports, hotels, partner sites, home or branch offices – they can easily access business applications and remain fully functional on any mobile device. That’s keeping your business moving forward. Mobile devices should work seamlessly with your services. Your business will reach a wider audience with intuitive messaging, audio, video, and web communication solutions. Incorporating user-friendly mobile support can encourage productivity, growth, revenue, and profit. Support any device that enters your premises to connect your services ranging from tablets, smartphones, clients and laptops. This capability allows for strategic communications, enhances engagement and reduced costs. Mobile communications should be easy—and safe. Employees, clients, and other participants should have secure access to your services. Empower your employees working from home by giving them access to the communication tools they need—enterprise grade voice, IM, presence, video, content sharing, and conferencing. Systems should encourage real-time collaboration through soft clients, endpoints, and business applications. Keep your infrastructure costs low by carefully managing bandwidth while maintaining productivity. 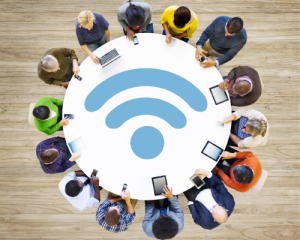 Employees should be able to easily connect and communicate no matter where they are working or traveling. Inbound and outbound calls should be easily accessible and voice activated logins make joining conferences and placing calls efficient and seamless. Route communication traffic over Wi-Fi to keep roaming and long distance charges low. Access to unified communications and video lets road warriors stay connected while keeping quality time mobile and in the field with customers. Allow your employees to work efficiently and effectively when moving throughout the office, from cubes to offices and conference rooms. For employees who are on the go and rarely at their desk, connectivity should be mobile and productivity should never slow down—not even with temporary or on-the-move workstations. Users should be able to leap between networks and devices to keep things running smoothly and remain available while in motion. Users or guests can register their own devices to your network – reducing your cellular costs. A wireless network that puts your business-critical applications needs first delivers predictable application performance to your roaming, mobile users. Desktop tools are important, too, even with mobile devices. Mobile capabilities can be adapted to desk workers in order to optimize the workspace. Everyday tools are harmonized across devices and networks. Productivity will increase as work can be done in the office or at home. Customers should be able to access all services using their cell phones and other mobile devices. Mobile applications are vital to keep this interaction easy and strong. Smartphone interaction is vital for a thriving communications system. Transition from application interaction to real-time communication connections are seamless and intuitive. Let us help you find real value for your business right now.